Meaning of Superstition as per the Cambridge Dictionary: The belief that is not based on human reason or scientific knowledge. 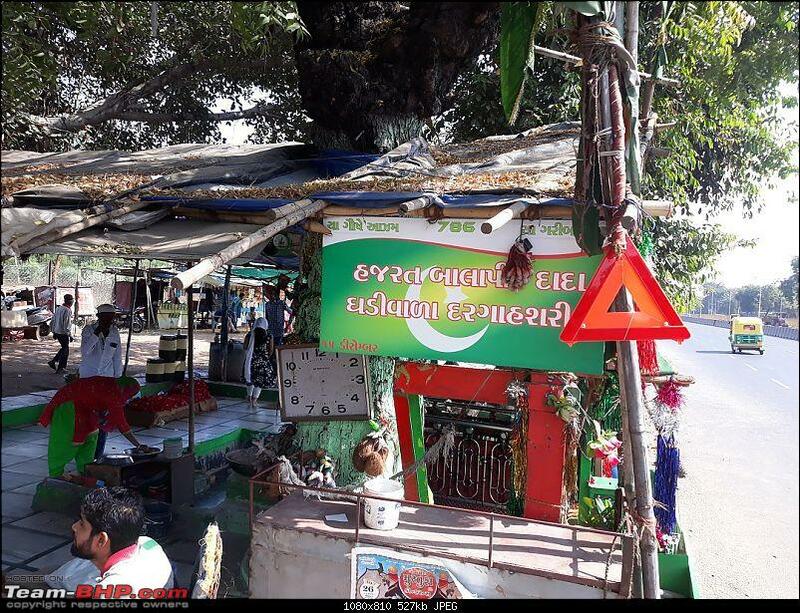 On our Indian roads, we come across many places( dargahs, shrines, temples) with mythical belief related to roads, vehicles and accidents. Personally, I don't believe in any kind of superstitions. However, I am always curious to visit this kind of small places, which have story/folklore related to roads and vehicles with them. In this thread, I tried to list down some of this kind of places. I am sure many of us come across this kind places in our region or during travels. All BHPians are welcome to share the places and their stories in this thread. Of course, the places and the stories should be related to Roads, vehicles and accidents somehow. Let me start with my list. 1. 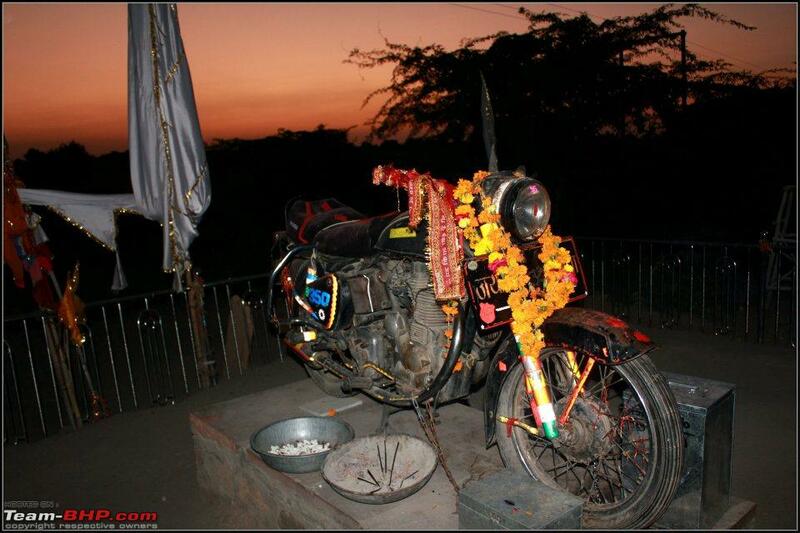 Om Banna Temple(AKA Bullet Baba). Location: NH65 on Pali to Jodhpur. Rajasthan. 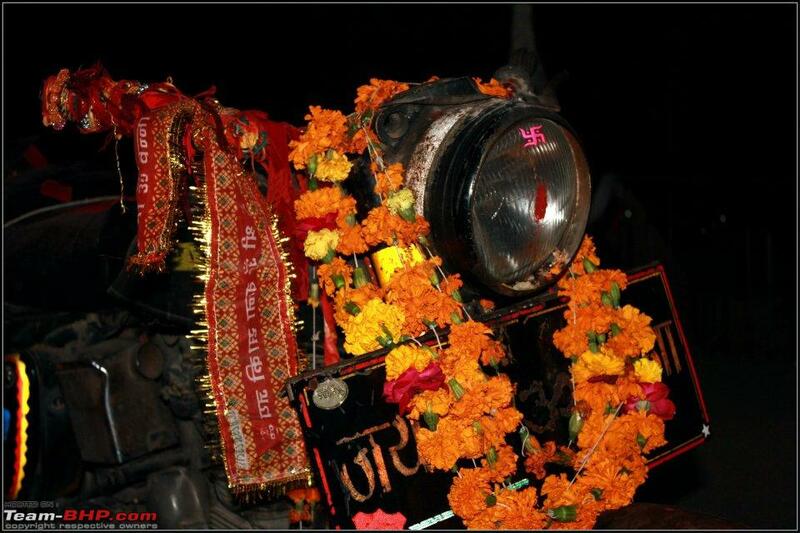 There is a village – Chottila – on the National Highway No.65 – between Jodhpur and Pali in Rajasthan, India. 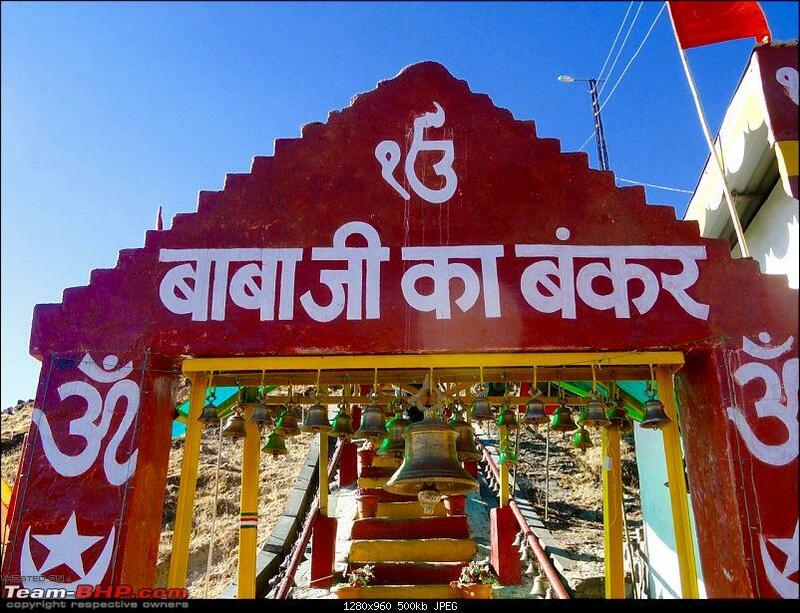 It is here the “Bullet Baba Temple” is established. Some 20 years back, one Om Banna alias Om Singh Rathore, the son of the village leader, was travelling in his Royal Enfield Bullet bike on this highway. 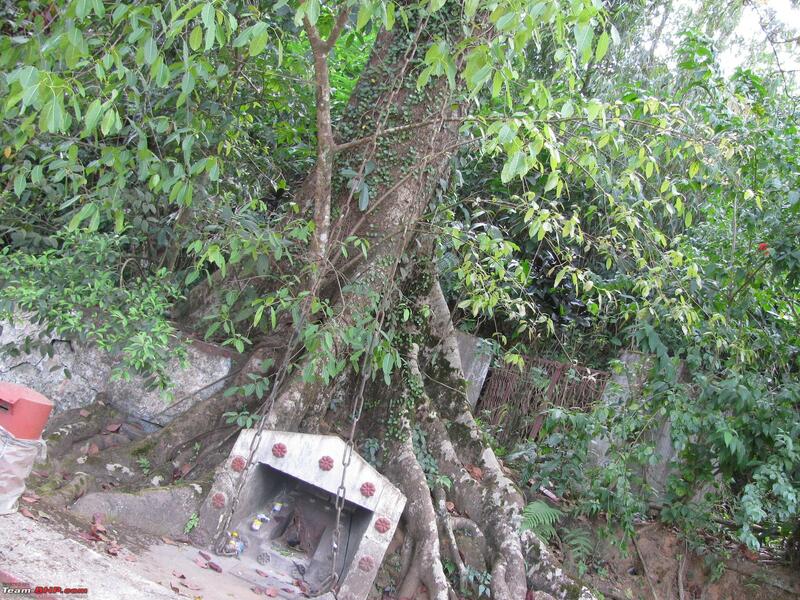 Just where the temple is situated now, there was a big pit and a tree and Om Singh died in a road accident – crashing on the tree and falling into that pit. 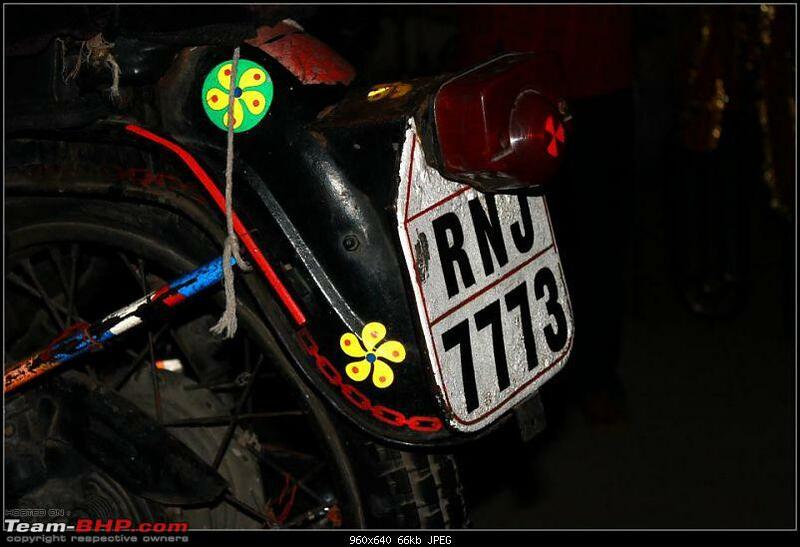 Police visited the accident spot, enquired about it and took the bike to the Police Station. A police constable in that station says “the bike which was seized and put inside the station-compound was missing the next day and was found at the accident spot." “The bike was not in the police station the next day. 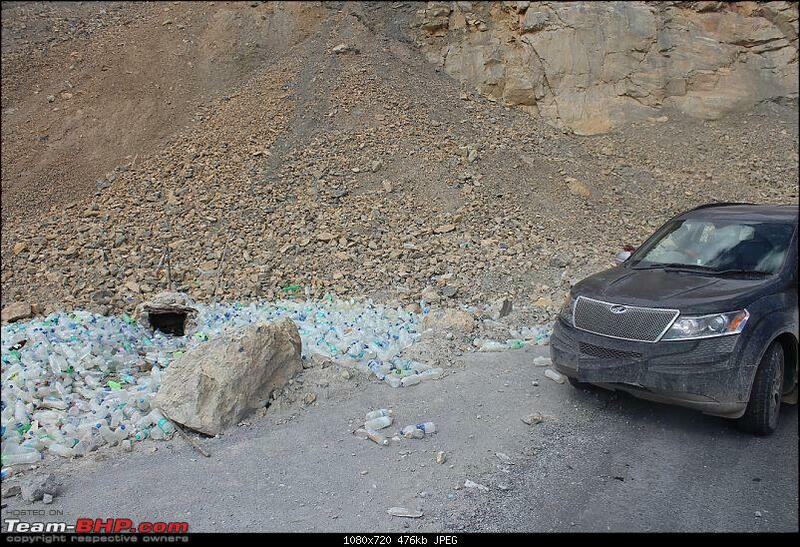 It was found at the accident spot,”. The police took the bike back, this time securing it with chains and deflating its tyres. The story goes that the next morning the motorcycle was again found at the accident spot. 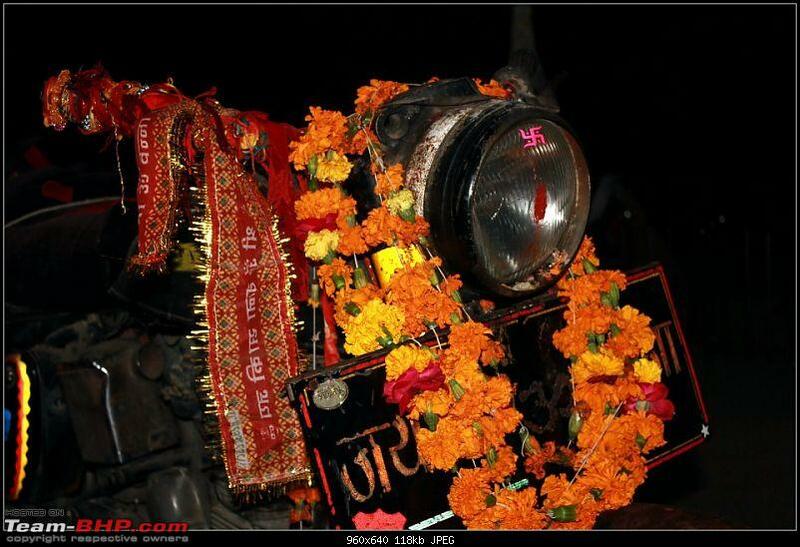 Thus began the legend of Om Banna, or Bullet Baba, the patron saint of all those who use the highway. Local taxi drivers, young men on motorcycles and tourist bus drivers—almost everyone travelling on this highway stops at the temple. For some, it is curiosity; for others, it is devotion and faith that is the draw. My visit of Om Banna Temple. Last edited by SJM1214 : 27th November 2018 at 16:11. 2. The Ghost of Ghata loops. (AKA Mineral water Baba). Location: At Ghata Loops, Manali-Leh Highway. 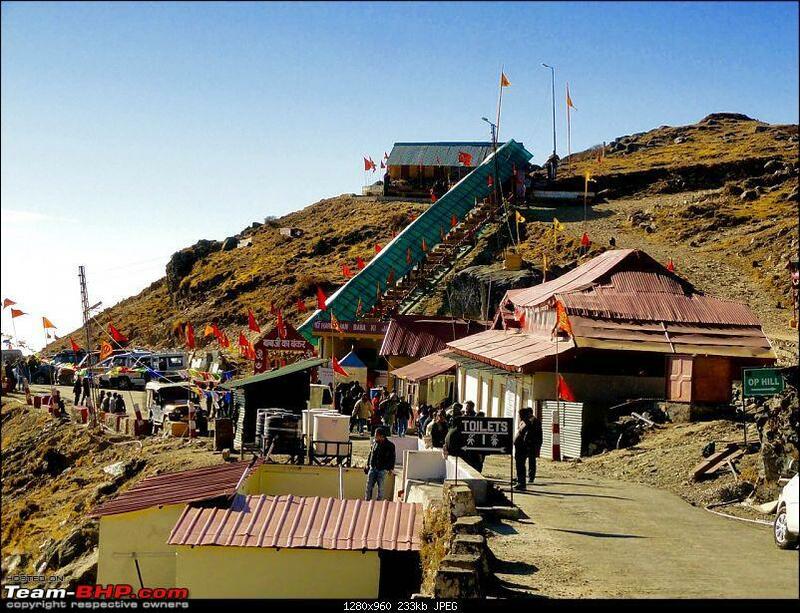 The story of the ghost of Ghata loops is well known to people who travelled to Ladakh by Manali- Leh Highway. The Story: Ghost of Ghata loops. 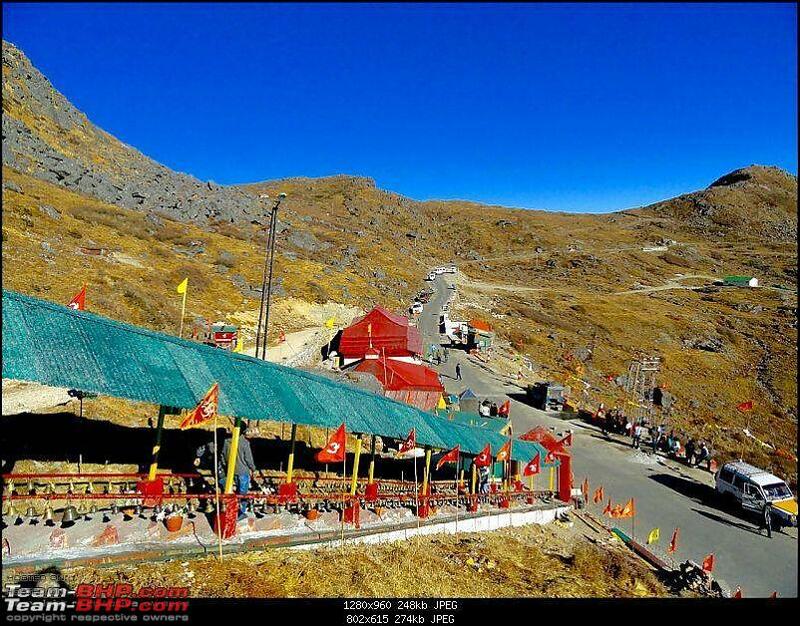 Several years ago [he couldn’t tell me exactly how many years ago], it was late October when a truck with its two travellers, the driver and a cleaner, crossed Rohtang and moved on its way towards Leh. It had already started to snow at a few places and the driver was warned but he had a time limit to reach Leh; which meant that it was too late for him to turn back and take the Srinagar Leh highway which was still comparatively safer. It was the last truck to cross Rohtang as it snowed heavily the very same evening at the top and the pass closed. 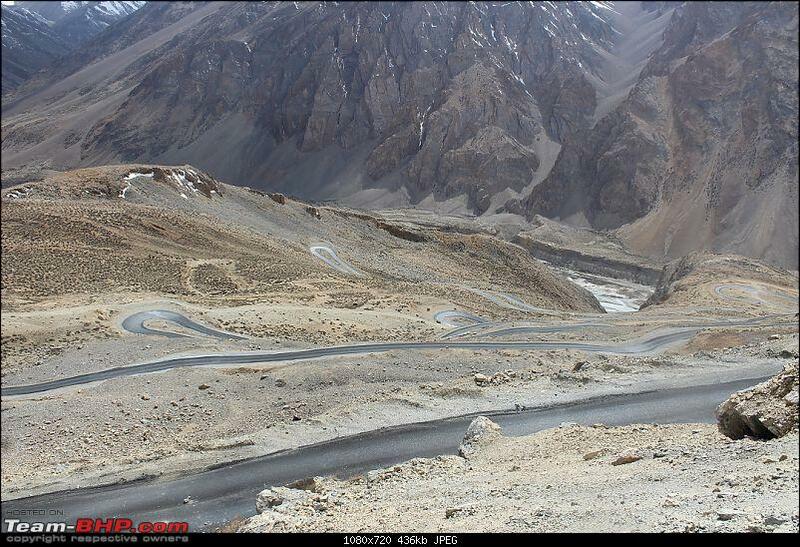 Kunzum Pass was already closed weeks ago and there were no vehicles coming from Kaza as well which means that it was the last truck plying on Manali Leh highway. 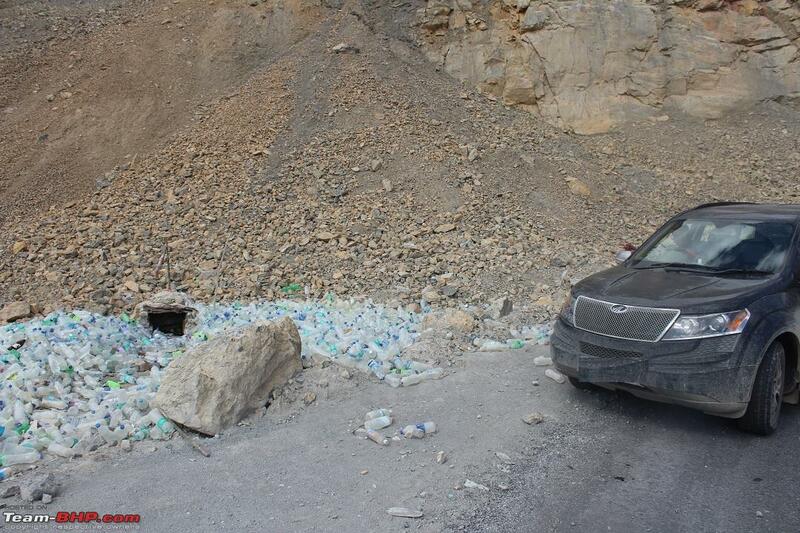 The driver managed to bring the truck safely all the way to Gata Loops but this is where disaster struck. On one of the loops, his truck broke down and came to a complete halt. After trying for hours, the driver couldn’t fix whatever was wrong with the vehicle. They waited and waited but no one crossed them by because they were the last vehicle on the route. so the driver decided to walk to a nearby village and get some help. , however, however, was ill and not in a condition to walk. He was so terribly ill that he could barely stand up but what was he suffering from our narrator couldn’t tell. It took several days for the weather to clear and all this time; he was stranded at the village. 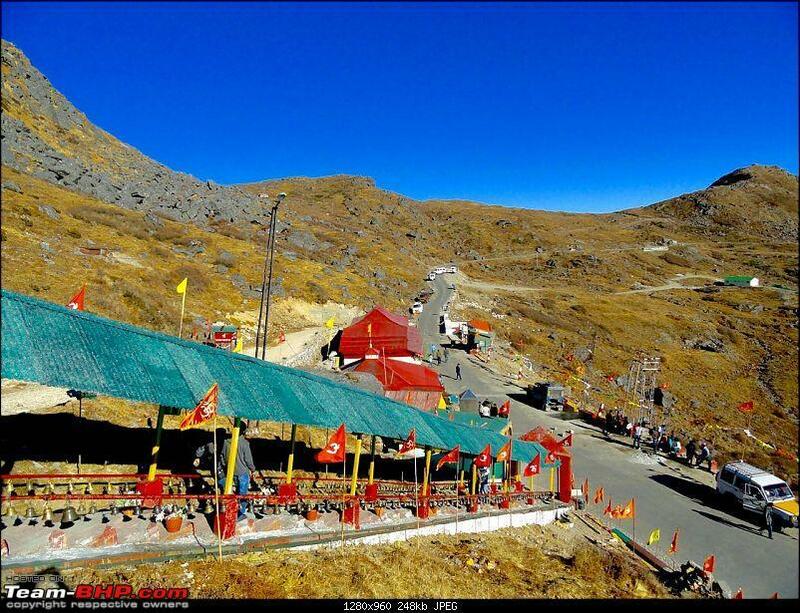 , Finally, help came from Manali and they all hurried back to Gata Loops; to the spot where the truck broke down only to find the cleaner dead. Poor chap was left alone on the road for several days; in freezing temperature, in poor health, with no water and nothing to eat and eventually died of thirst, hunger and cold. 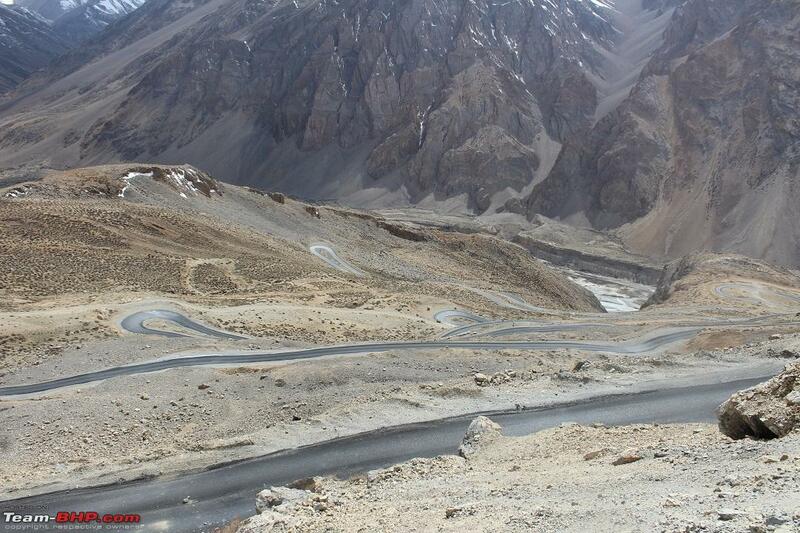 The truck was fixed but it was impossible to drive it either to Leh or Manali because passes on both sides were closed. So the driver drove the truck to the village he was stranded in, and waited there until it was possible to drive across Rohtang and return to Manali. The body of the cleaner was buried at Gata Loops by the villagers, right at the spot where he died. Next year when the highway reopened, people started noticing a strange thing. There was a beggar at Gata Loops who would wave at the passing vehicles to stop and begged them for water. Some people did not stop but the ones who did and offered the beggar some water saw the bottles drop right through his hands. The word spread and sure enough people were scared of the ghost who begged for water; thinking that it might harm them if they stopped or curse them if they didn’t. 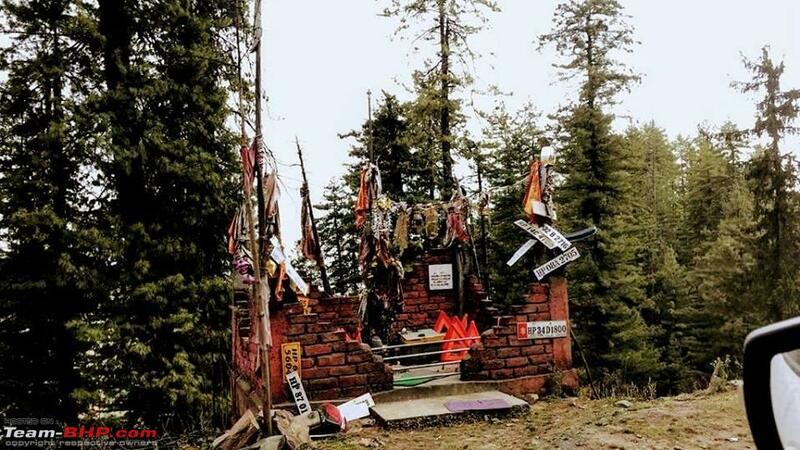 In order to pacify the ghost; the locals set up a small temple at the spot where he was buried and made offerings of water. Our Visit of The Ghost of Ghata loops. Our XUV at this place. Location: NH 48. After Baroda, before Vasad Toll Plaza. 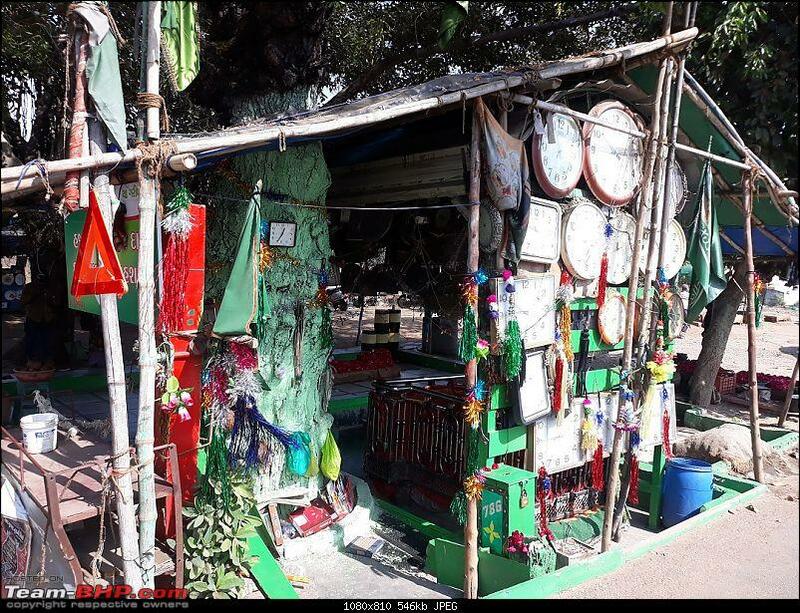 A Sufi shrine where people from all religions come to make a wish. And when the wish is fulfilled a clock is offered as a token of gratitude. Each clock then carries a story of the pledger’s lack and its timely fulfilment. 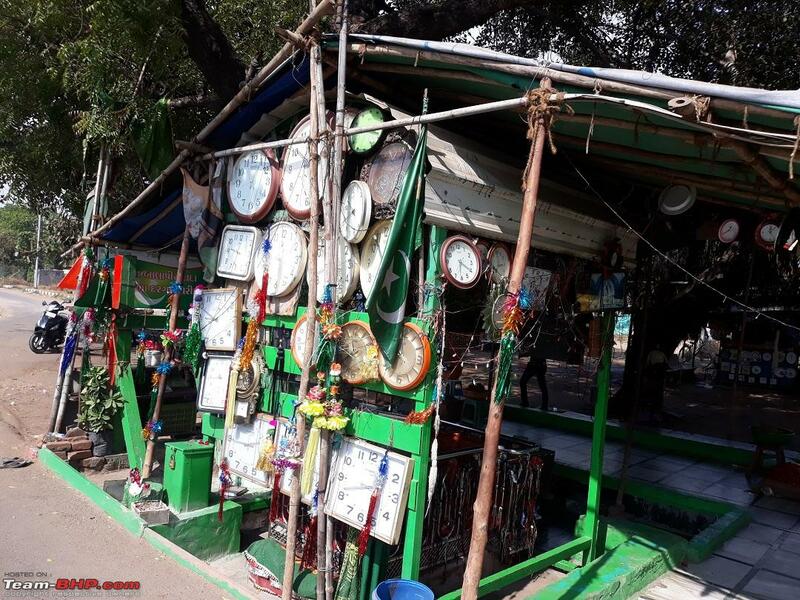 While caretakers believe that the dargah is 150 years old and claim that they have been taking care of it since eighty years, they have little idea regarding its history. There are no documents to prove its existence too. 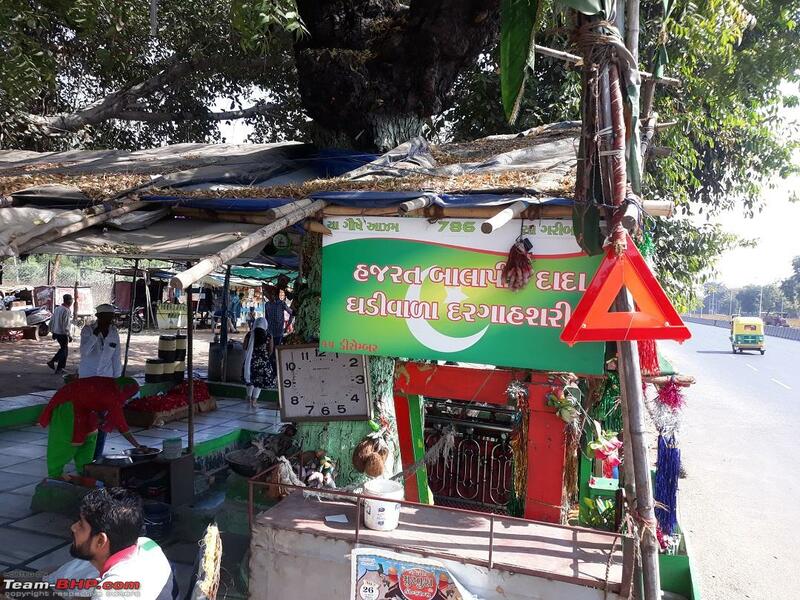 The Dargah has a strong following amongst truck drivers, taxi owners, and local cattle owners. It is believed that if the timeframe is provided with the wish is fulfilled within that span. 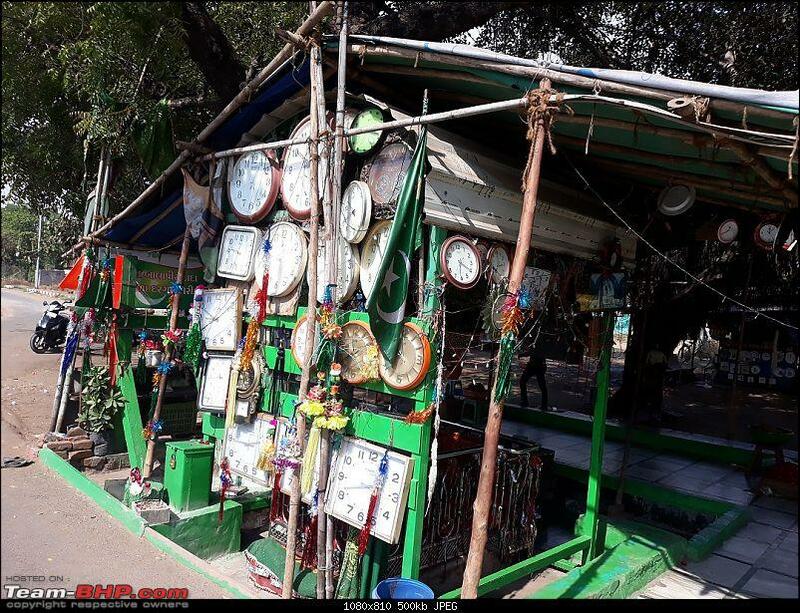 Each day, around 15 to 50 clocks are offered at this dargah. 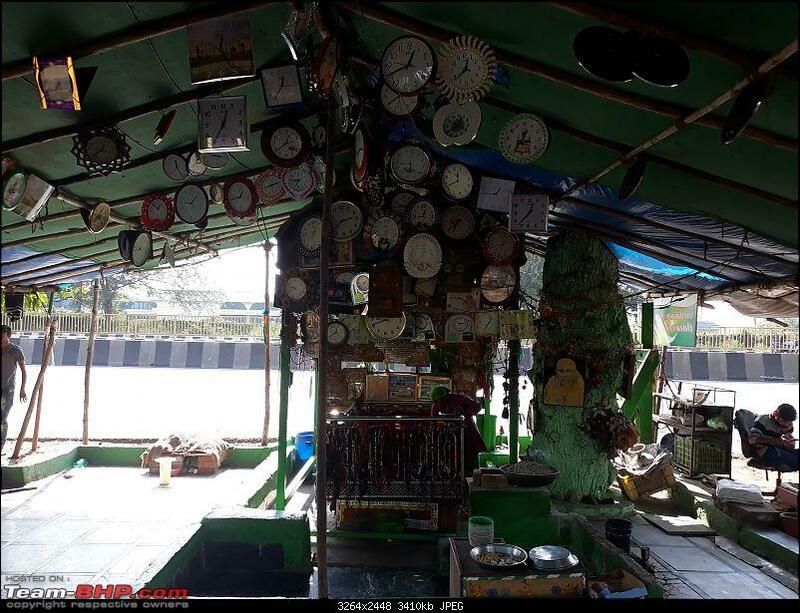 The clocks are offered either simply as an offering like at any other item or by those whose vows are fulfilled. Such clocks are later donated to nearby rural schools. 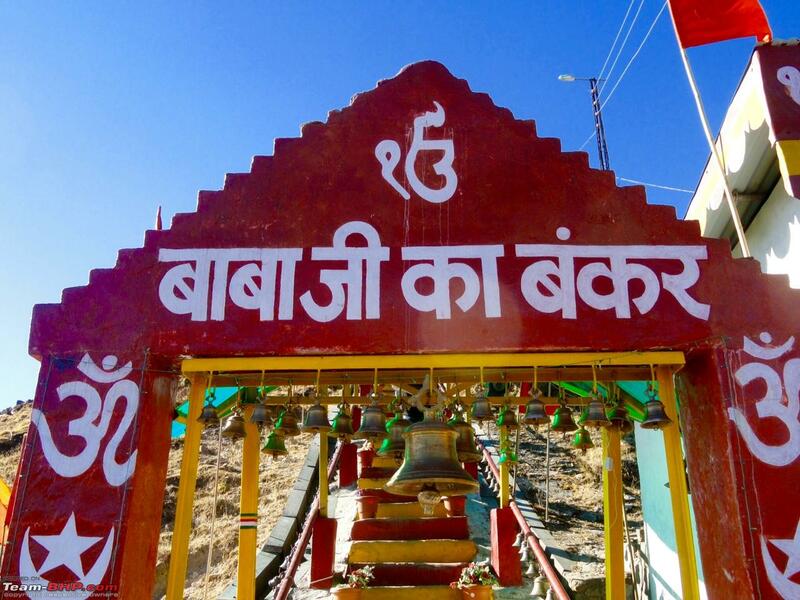 However, little is known about Hazrat Balapir. 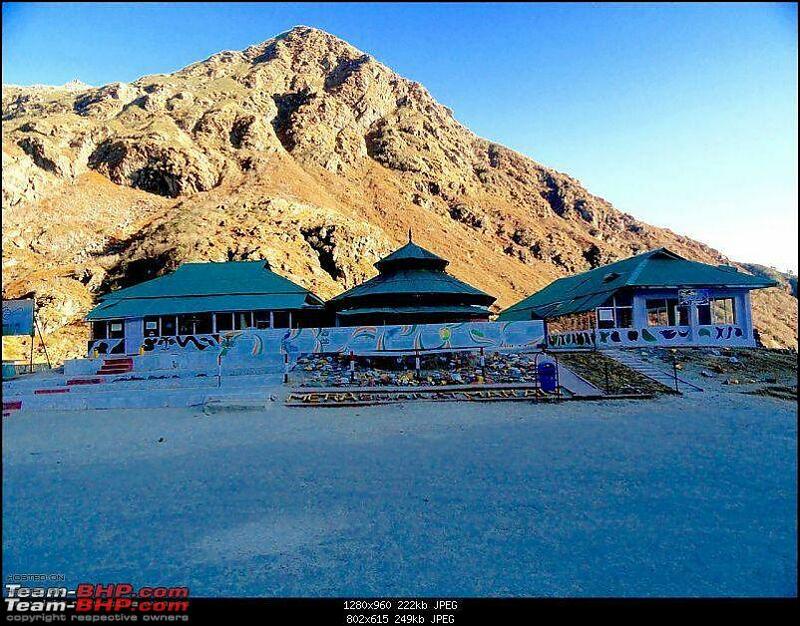 This dargah is located on one of my regular routes. Once I asked one of the truck drivers about the reason behind gifting clocks. 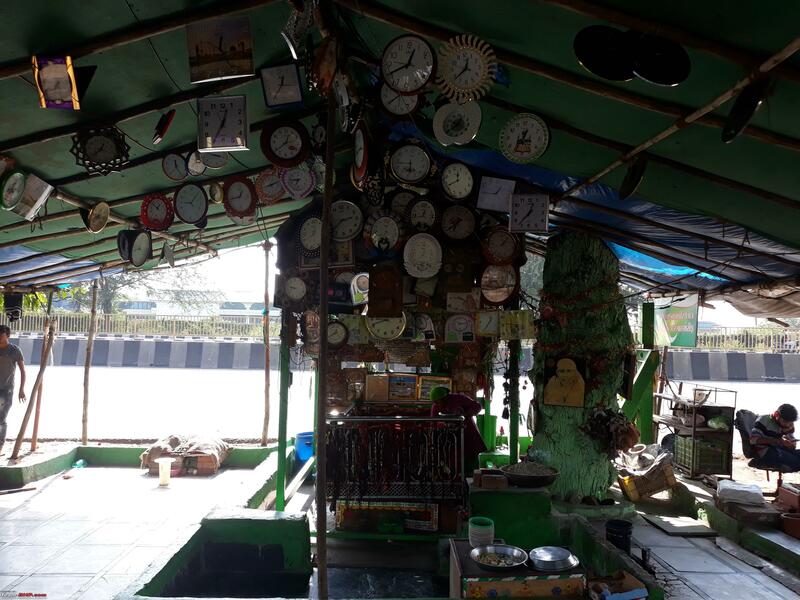 As per the truck driver, they offer clocks to this dargah to reach home on time. Last edited by SJM1214 : 27th November 2018 at 14:34. Thread moved from the Assembly Line to the Street Experiences Section. Thanks for sharing! 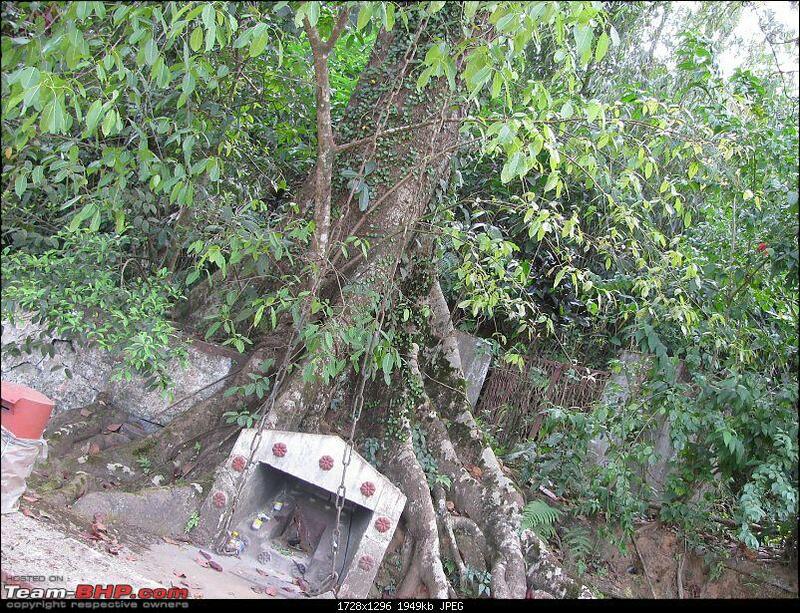 I've been to this one: Chain tree in Wayanad, Kerala. As the story goes, Karinthandan, the local chieftain of the tribals (Paniyas) during the period 1700–1750 AD, found the Wayanad Ghat route. He helped the British find a way through the dense forest of Wayanad. The Viceroy had earlier announced a handsome reward for those who will build a road across the forest. To take credit of the discovery and reward a British engineer killed Karinthandan. But, the soul does not die, as they say, especially, the locals. 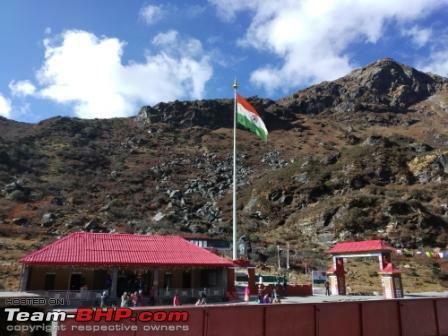 Its a story of a soldier who lost his life on duty at Nathu La, but his spirit is said to have served the nation mysteriously over last many years. In honour of this contribution, the Indian Army sends his salary, promotions and other emoluments to his family till his retirement date. 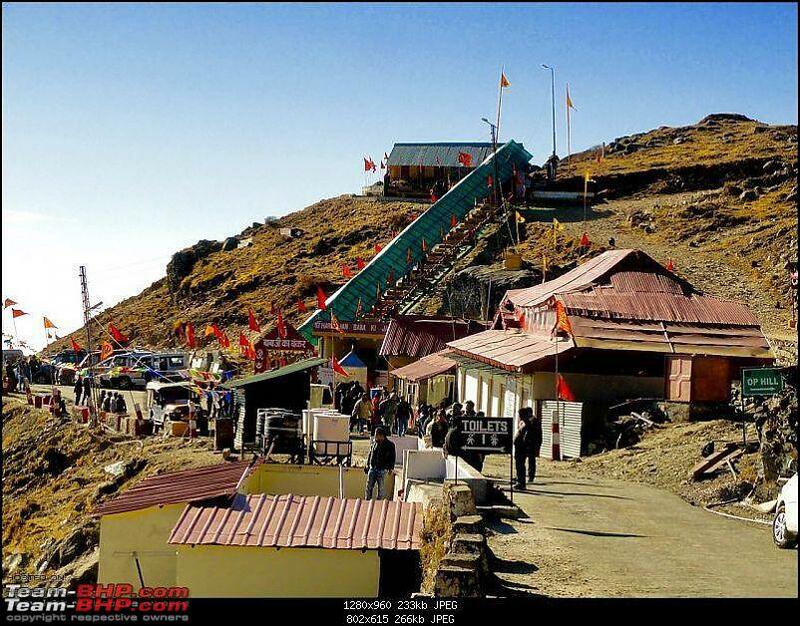 It was in 1968, during one of the conflicts between the Indian army and the Chinese soldiers, that Harbhajan Singh died near the Nathu La Pass in eastern Sikkim. It is believed that he drowned in a glacier while trying to lead a column of mules carrying supplies to a remote outpost. Three days later, a manhunt launched to find him discovered the remains of his body, and he was cremated with full military honours. Legend has it that he appeared in the dreams of one of his colleagues and instructed him to build a memorial after him. His regiment followed the instruction, and a memorial was constructed, which later expanded into a shrine. 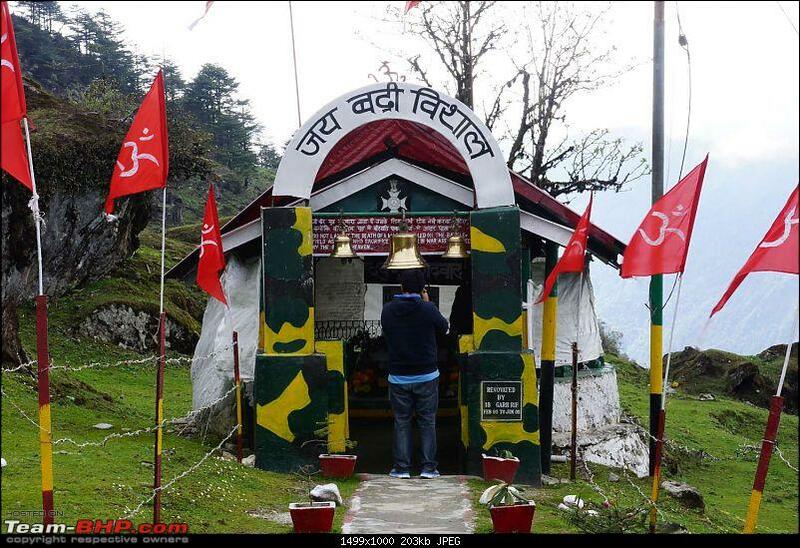 The shrine is guarded by the soldiers of the Indian Army. They polish baba's boots everyday, keep his uniform clean, and make his bed. The soldiers reportedly say that they find the bed linen crumpled, and the boots muddy. The presence of Baba's spirit is also acknowledged by the Chinese soldiers, who set a chair aside for him every time a flag meeting is held between the two countries. Just like any other soldier serving in the Indian Army, the late soldier also draws his monthly salary and 'takes' an annual leave of two months. His mother, who lives in Punjab, is also taken care of by the soldiers posted in Nathu La, who contribute and send her a small sum of money every month. The army payroll still has his name and he receives due promotions. It is said that the late soldier is presently treated as an honorary captain. 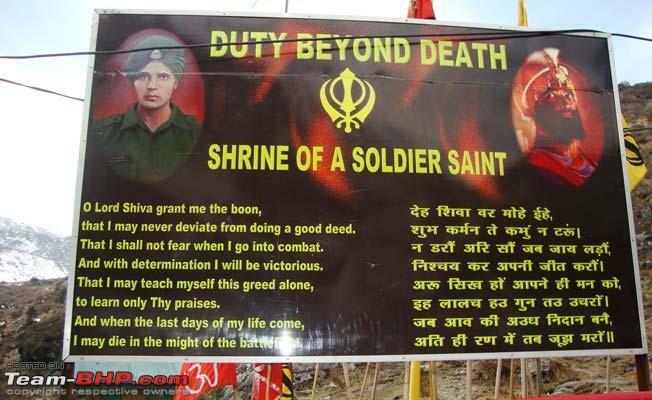 During the two months annual leave when the late soldier comes home, people of his village Kuka, in Kapurthala district of Punjab, receive him with much fanfare. His homecoming is fixed every year on September 13th, and two soldiers carry his personal belongings to his home. A berth is booked in the the Dibrugarh express in his name, and the army officials bring his portrait, uniform, and other belongings to his village. The same soldiers carry the belongings back to the Nathu La region, once the leaves are over. Last edited by //M : 28th November 2018 at 09:48. Adding a smartphone image taken last month (jpeg compressed). 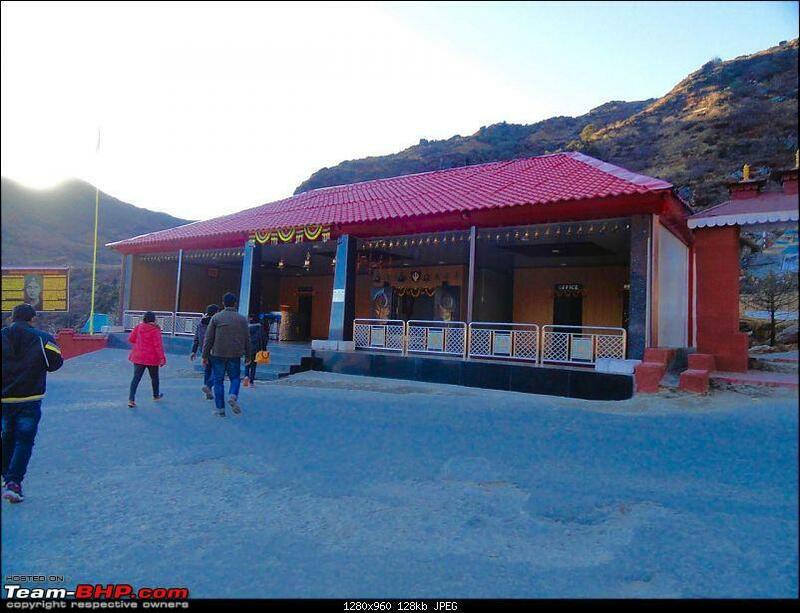 I was told there are two mandir's - Old original and a Newer one. The image below is supposedly of the newer one. 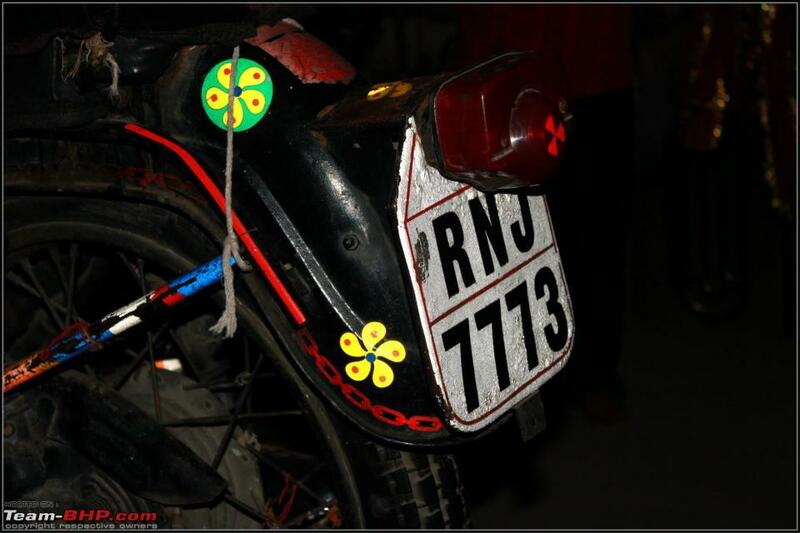 This photo was shared at The Roadographers Club FB page. 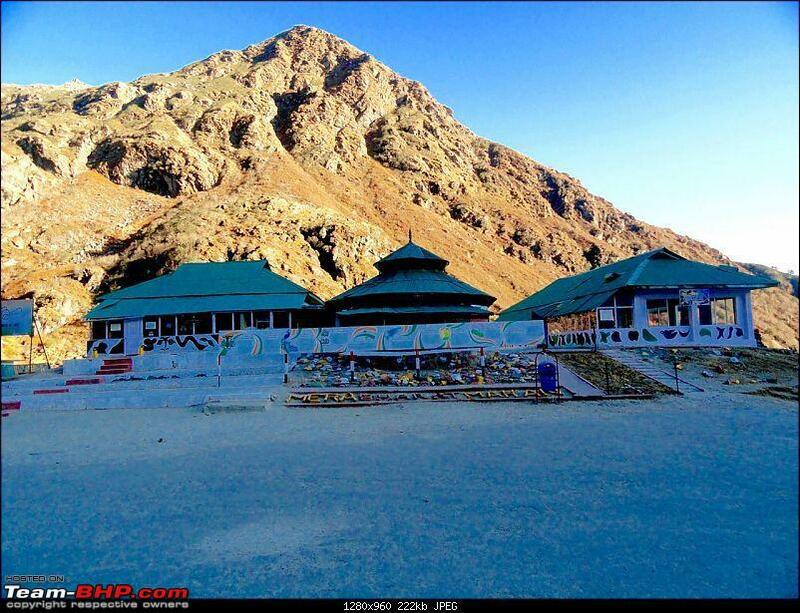 It is somewhere in HP (Gmap Location shared). A small shrine with number plates. None of us has any idea about the name and the story about this place. Any input about this place? 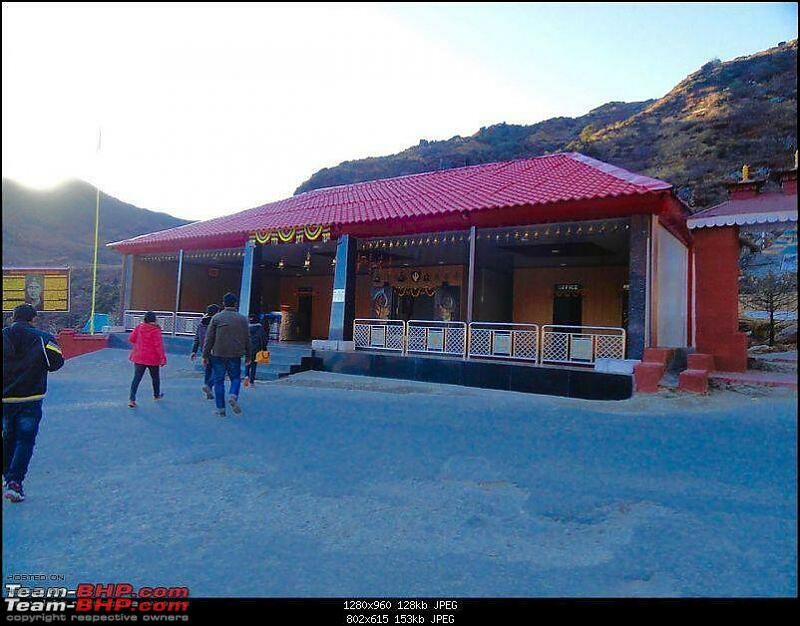 Yes, that is the new temple near Nathula. The old temple is enroute to Kupup. Sharing the images of both the places, clicked in Dec-2016 during the bike tour of the wonderful place. You are allowed to go into the bunker and photography is allowed as well. I just dislike the title of thread. "Superstitious" place in India. It is so judgmental. You have no right to call someone's faith as superstition. Also whenever i see posts like these the poster always puts a disclaimer-"i don't believe in any of this". So why do you go there? 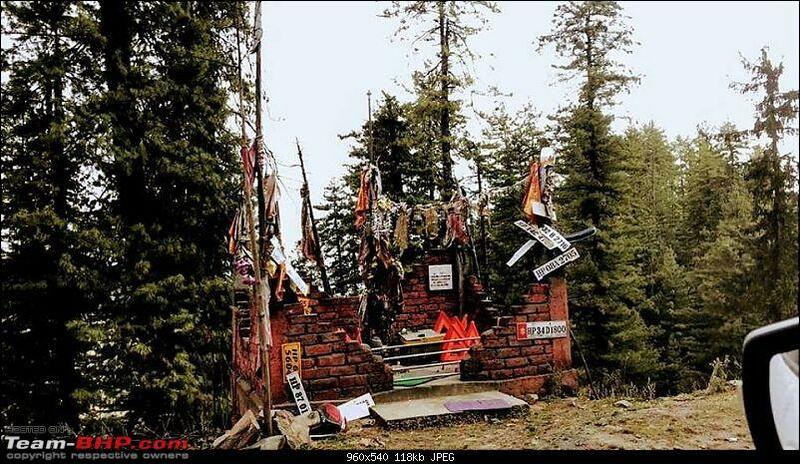 To make fun of the people who created the shrine or to dis-honor the person for whom the shrine was created for? I hope I don't get an infraction for this. But the English translation of the hymn by Guru Gobind Singh is not correct. This is a hymn which I absolutely love and am enamored by its literary simplicity and message. So, I am forced to point out the absolute misplacement of the hymn with regards to the situation, both, in terms of its translation and intended understanding. This Ganesha is 600-years-old and was originally called Patala Ganesha (since the idol is below ground level). People who buy a new vehicle seek His blessings and believe He will protect the vehicle from accidents — hence He is famously known as Vehicle Ganesha. On Ayudha pooja every year, around 2000 to 3000 vehicles are brought to be blessed by the three-feet tall Ganesha. He was also the favourite of Kempegowda, founder of Bengaluru. The temple was also frequented by hunters before a hunting trip. In the 1950s, Ganesha here became the most trusted God of Jayachamraja Wadiyar who would bring all his new cars for a ‘vehicle pooja’. “Once when Jayachamraja Wadiyar was travelling in his Rolls Royce car it suddenly stalled a few meters from the temple. While his driver was looking into the problem, the Raja walked to the temple to offer prayers and at that precise moment the vehicle sprung back to life. This repeatedly happened to him twice or thrice and soon he began bringing all his cars to this temple to be blessed,” says temple priest Subramanya Deeksheed. However, the most logical explanation for the idol to acquire the moniker is the presence of TVS showroom in the premise of the present-day Sundaram Mercedes Benz showroom on Kasturba Road. Once the vehicles were delivered at the TVS showroom, the customers would drive to the temple next door to seek blessings and protection for their vehicle. The trend continues till date. Not sure of the current situation but a couple of years back, most Maruti Suzuki dealer given/gifted idols in and around my place were of Vinayaka in his Patala Ganapathi avatar - because of his inherent and incredible power to prevent accidents. During my car purchase, as i had picked up my choice idol from outside, i refused to collect the staple one and asked the SA to throw in a car perfume instead. He was literally begging me to install it on the dash as he (sincerely) wanted me and my car to be safe - something only a Patala Ganapathi (and not my version of Ganesha) idol could ensure. Last edited by dailydriver : 29th November 2018 at 21:30. 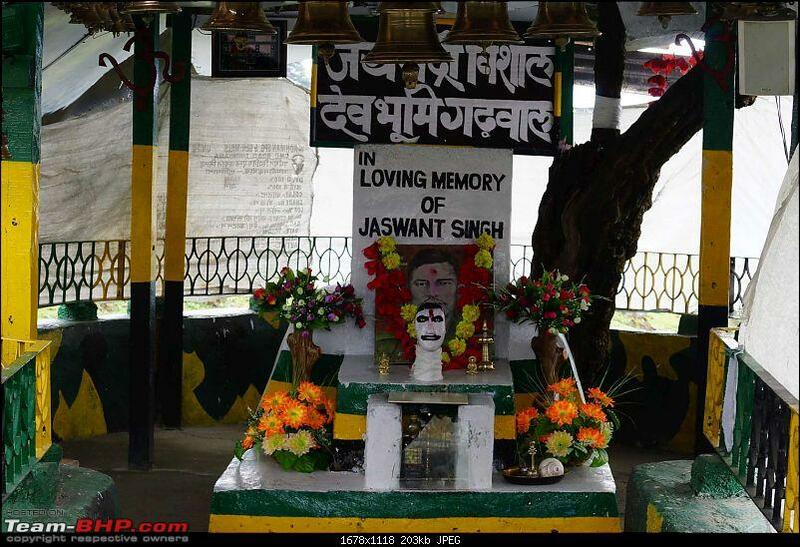 Jaswant Garh is located about 25 kilometers from Tawang in Nuranang district. 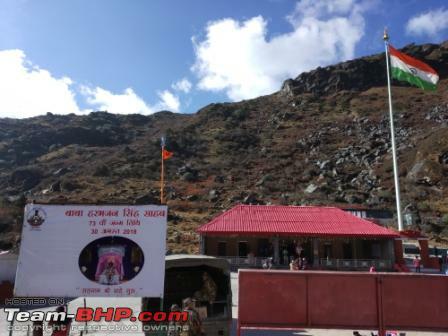 This must visit place sits at an altitude of about 10,000 feet and an interesting feature is that it has a temple-like structure is dotted with the camouflage pattern all over the memorial. 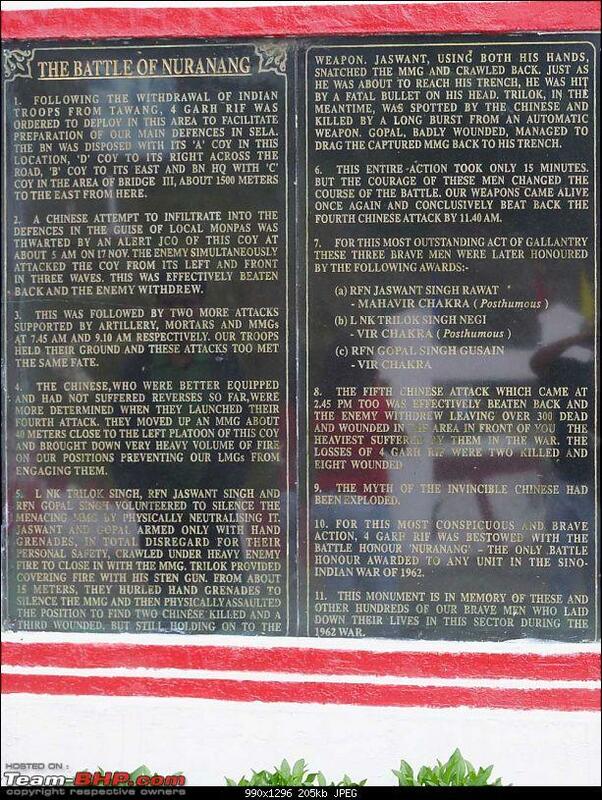 However, today you will find all the Garhwal Rifles deployed on the Indian western borders but an interesting fact about this memorial is that you can notice at least few personnel here, taking care of Jaswant Garh (Rawat). 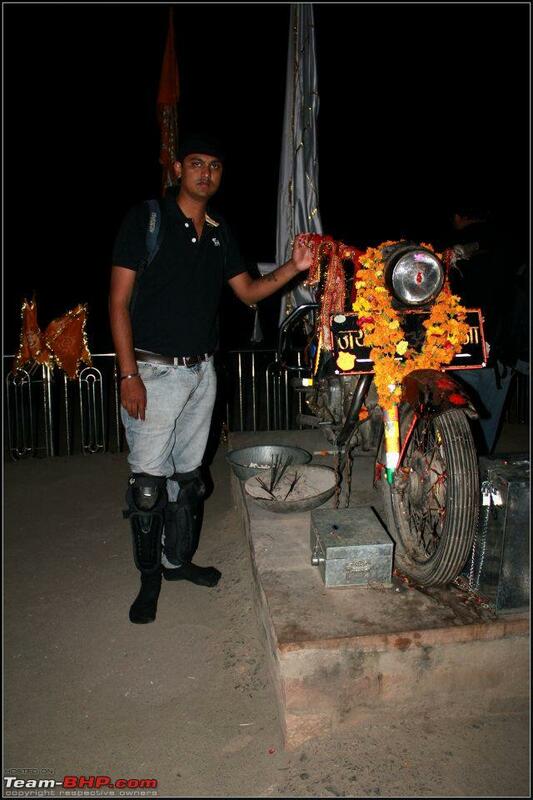 Another instance of a valiant soldier being worshipped, like the Baba Harbhajan shrine at Nathu La. We visited here in 2013 (Roadtrip to The Middle of Nowhere... Monyul (Tawang) and More). 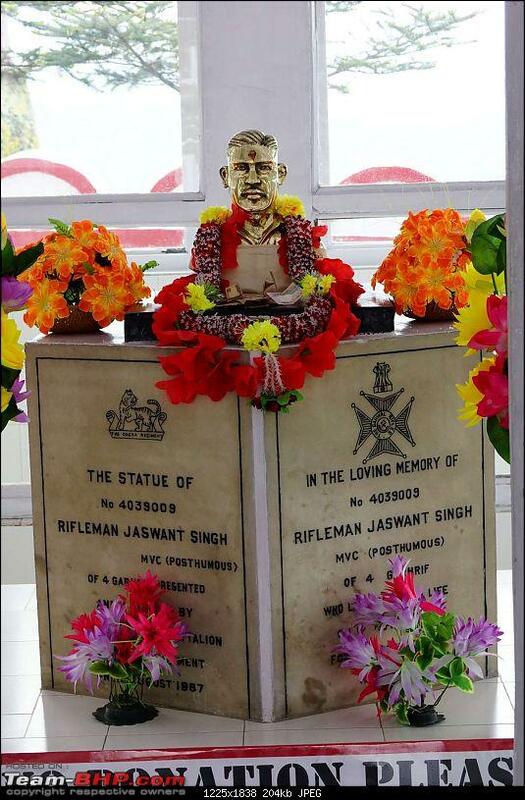 The soldier told us stories about how Jaswant Singh's spirit still haunts the place, and how his personal belongings, clothes and bed linen are found a little askew every morning, and everything has to be put back in order daily. Last edited by SS-Traveller : 29th November 2018 at 22:26. I don't know whether the learned men should discuss this subject. We need to eradicate such practices & all the myths associated with them. 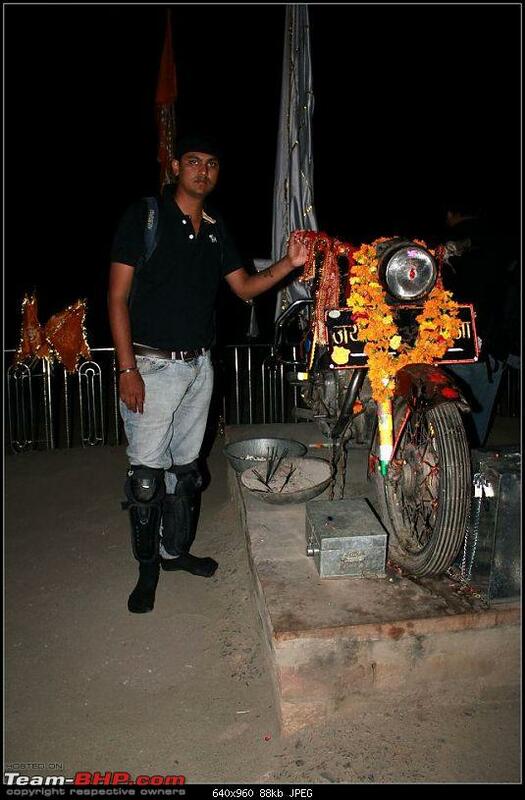 When someone says "Personally, I don't believe in any kind of superstition " & then posts a photo at a superstitious place minus his shoes, shows his belief in it. If you look at our society and the part of it which resides in rural areas, are illiterate or are economically weaker. Such practices are rampant and the people are misled, terrified to extract money. I feel in my opinion, we being the learned members should refrain from discussing such subjects and generating interest of the other members on forum or the other visitors of this forum to go & visit such places. And is our beloved country a "Superstitious/ Mythical " place, a tag that we are trying to remove! Would you say this forum, and by extension, this country, has a severe dearth of Freethinkers? All times are GMT +5.5. The time now is 04:36.